Are your gutters full of debris, branches, and saplings, and squirrels even trek there when they’re looking for a snack ? Sounds like your gutters are clogged, and you need LeafGuard Gutters to get rain water flowing properly forever! With over 20 colors available, LeafGuard will always match the exterior of your home. 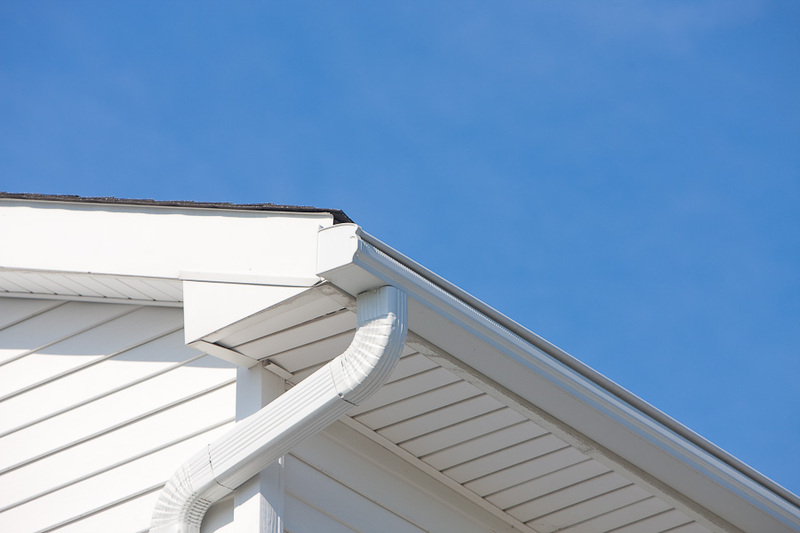 Ordinary gutters screw or nail onto your roof and can cause damage. LeafGuard is securely fastened to your fascia board with hidden, non-corrosive hangers. LeafGuard systems are coated with exclusive ScratchGuard® paint finish guaranteed to never chip, peel, or crack. 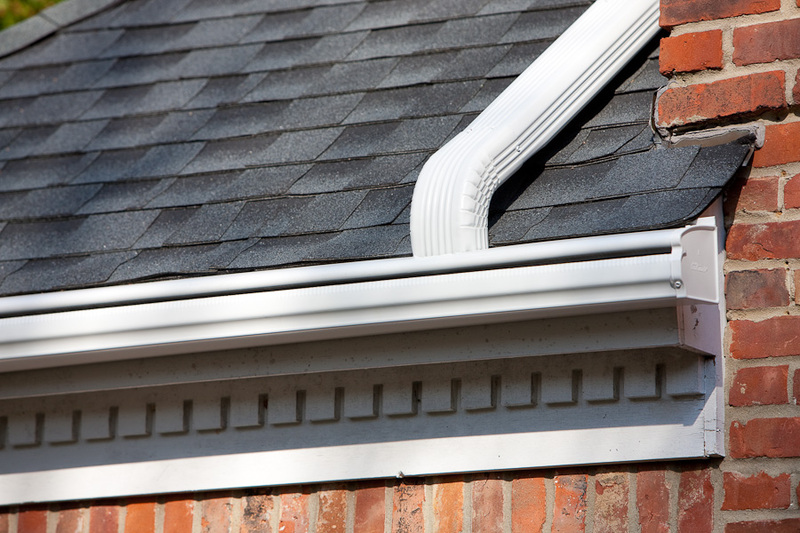 LeafGuard gutter systems are manufactured in our shop and are custom fit to your home. Manufactured twenty percent thicker than conventional gutters, the LeafGuard system is durable. LeafGuard is the only one-piece debris-shedding gutter system on the market today. This revolutionary seamless gutter system has a built-in hood that covers the trough; it’s not just an add-on that’s bolted on top, the hood is actually part of the design.Rain water flows free, and the curved hood deflects debris, keeping your gutters free-flowing and clear. The patented LeafGuard gutter system is revolutionizing the entire gutter industry and it could easily be yours. 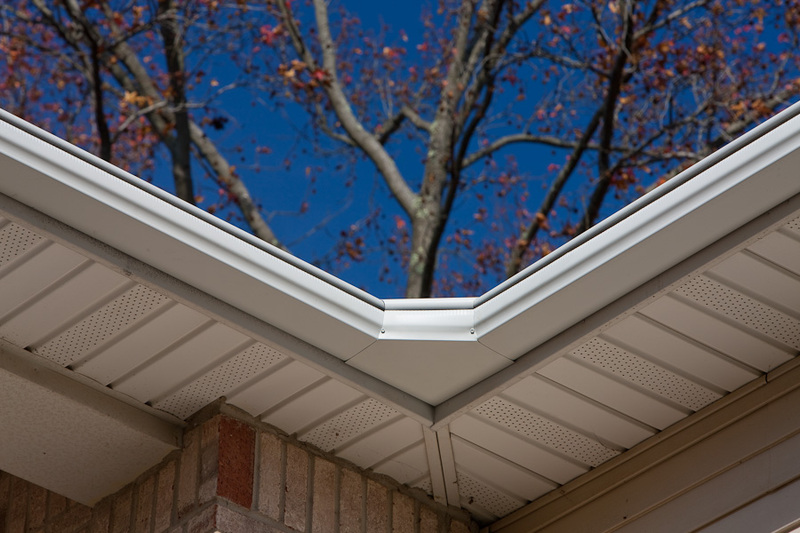 LeafGuard is a seamless gutter system with a built-in hood, roll-formed to custom lengths on-site and made to fit precisely to your roof. 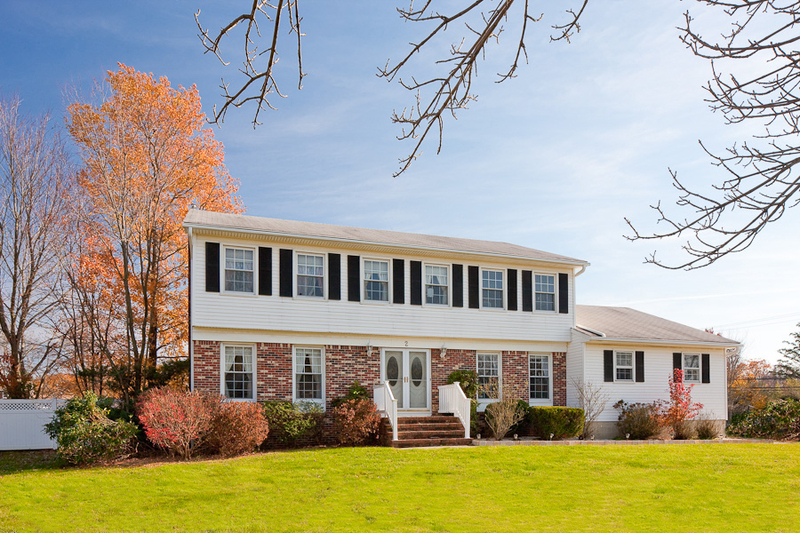 Find out how LeafGuard can enhance your home’s exterior! 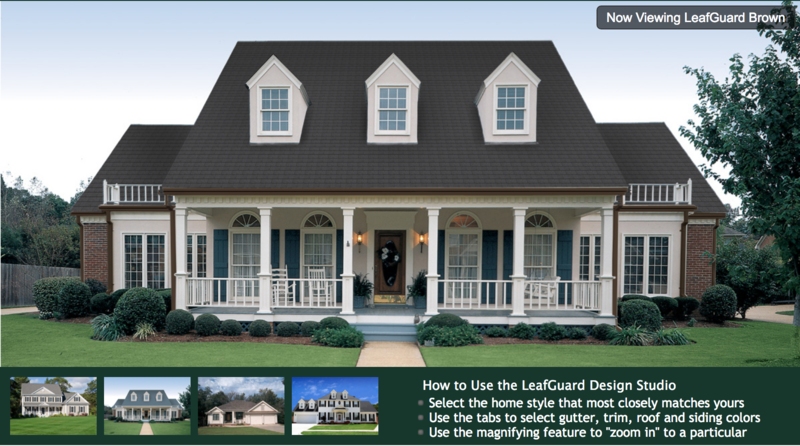 Visit the LeafGuard Design Studio to find out how LeafGuard can enhance your home’s exterior! 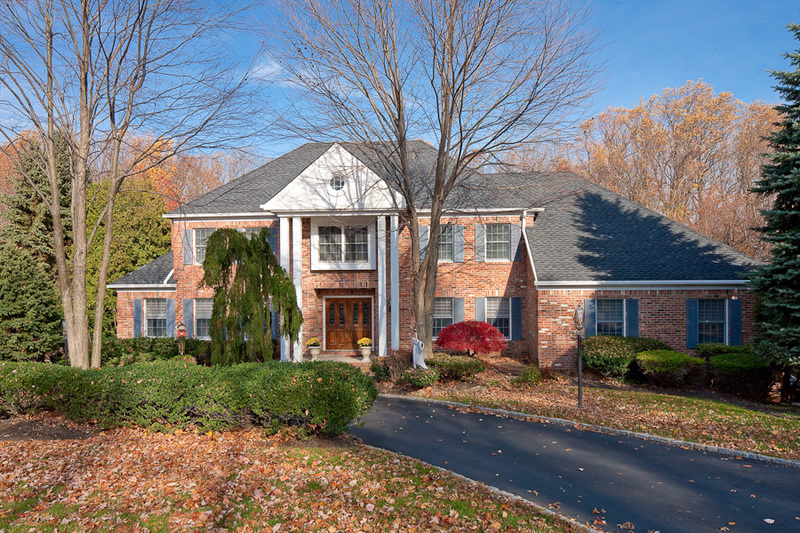 LeafGuard Brand gutters look beautiful on almost any style home. For your convenience we offer you this simple, easy to use Design Studio to demonstrate how LeafGuard gutters will look on a home style similar to yours. Just select the home style that most resembles your home and using the colorizing feature adjust the color of the roof, trim, siding and gutters to demonstrate the combination you desire. LeafGuard Gutters’ sleek one-piece styling does not interfere with your roofline or look like a bulky add-on to your roof, as do some two-piece gutters with covers and hoods. In fact, the LeafGuard patented one-piece design gives your roofline a finished look that adds to the curb appeal of your home. Get Started On Your Quote Today!